November 20, 2018 - No Comments! 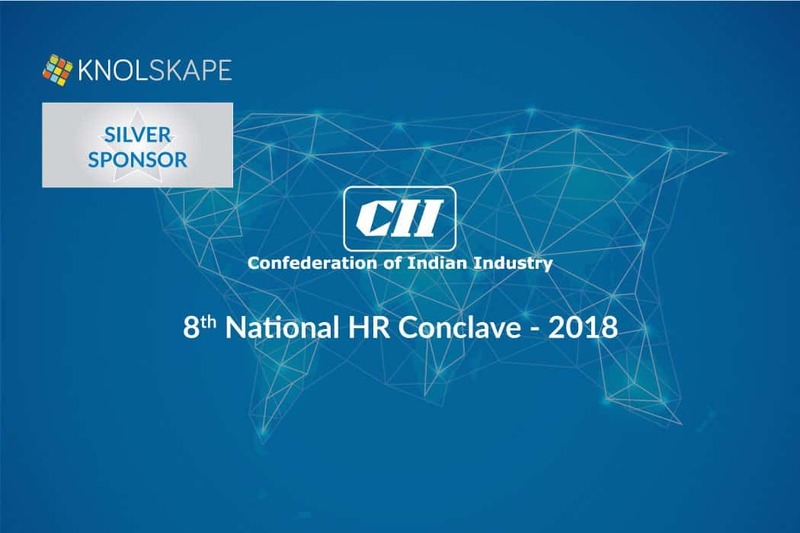 KNOLSKAPE is proud to be a silver sponsor for CII 8th HR Conclave 2018. 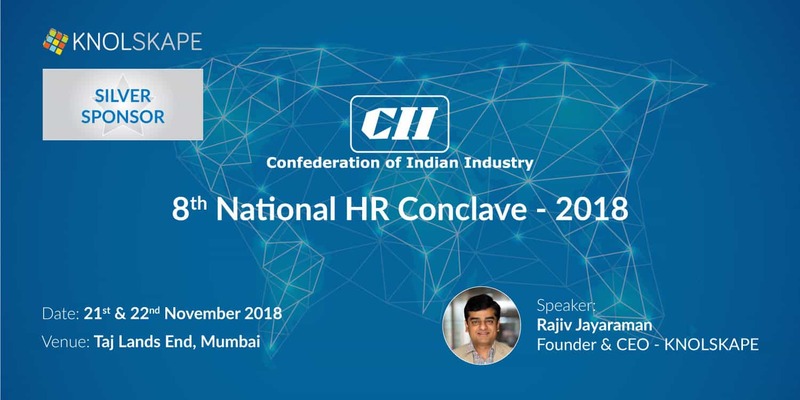 Connect with Rajiv Jayaraman who will be speaking on the second day of the event. Discover and learn about what’s new in the field of HR. With accelerated digital transformation aided with the advent of Automation, Robotics, AI & IoT, the World of Work is transforming rapidly. This New World of Work is a glaring reality that is challenging all status-quo of organizations resulting in flatter structures, cross-functional collaborations, changing leadership styles and changes in the nature of job and career landscapes with the advent of Gig talent. In this context, the demand on the HR function to move away from the traditional to a more responsive and future-ready mode is increasing in significance. The HR team is increasingly expected to be the torch-bearer of “Change” and help organizations navigate this New World of Work.